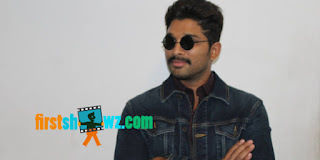 Stylish Star Allu Arjun who is currently busy with the shooting schedules of DJ Duvvada Jagannadham will team up with Ekkadiki Pothavu Chinnavada director VI Anand for a new movie. If the buzz is to be believed, VI Anand has recently narrated a storyline to Allu Arjun and the actor has given his nod for it. The Stylish Star has asked the director to come up with the full script and the duo may team up soon again for the film. VI Anand meanwhile will be directing Allu Sirish in a romantic sci-fi thriller. On the other hand, Allu Arjun has signed up for a high budget bilingual action thriller in Lingusamy direction, which will hit the floors in 2017.